Why taunt us all then? Because it rhymed. Let’s talk about routines though. I like them they’re safe ways that increase my productivity. I rather enjoy a dull existence. Knowing what to expect, what time I’ll eat, what time I’ll go to bed. How my day should go. But these past few weeks have not been that at all. Yesterday and the few days prior have been awful. Mistakes, things that can seem like mistakes build and snowball. You know how sometimes you just know things are going to be all crummy, and then your day is pre-determined to be as wrong as possible? This was me. Of course it hasn’t been all terrible, or overly dramatic. My routine was disrupted for some good things, such as a Radiohead ahow and Foo Fighters days later. So you know? It’s all good. Maybe it’s routine for routines to be routinely disrupted sometimes. Eexcept the new “save system” instead of starring. I mean. Kinja always changes, so this too is a routine. Do you like the unknown and adventure or do you take comfort in structure? 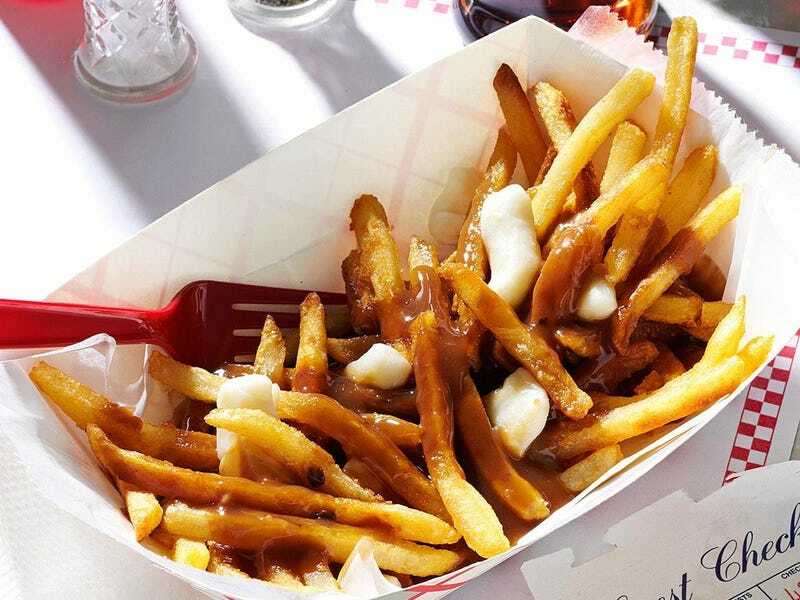 Do you like poutine? If not, are you Datacide? What’s an “American” dish you can’t stand? That’s a weird question. If you’re not from around here, what’s your least liked/favourite national dish? Aapologies on the stripped down forum. Things are happening and I had to do this from my phone like a pleb.